In this article, we bring you everything you need to know about global marketing. 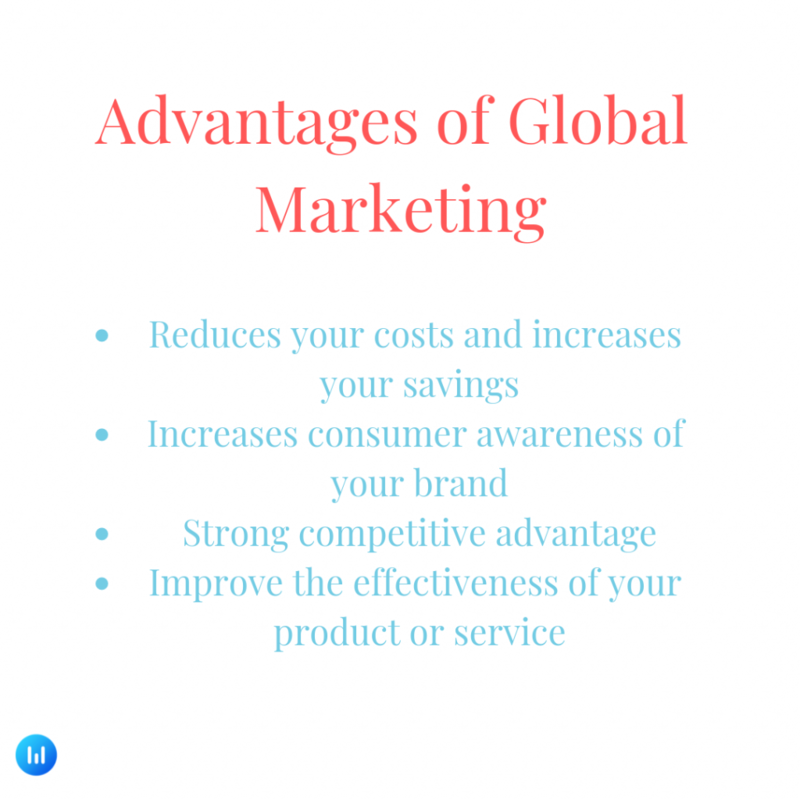 Read more to find the definition, meaning, advantages and disadvantages, types of global marketing strategies, the importance of global marketing and a lot more. Global marketing isn’t just about selling the product globally. It involves several processes such as planning, producing, positioning and promotion in the global market. 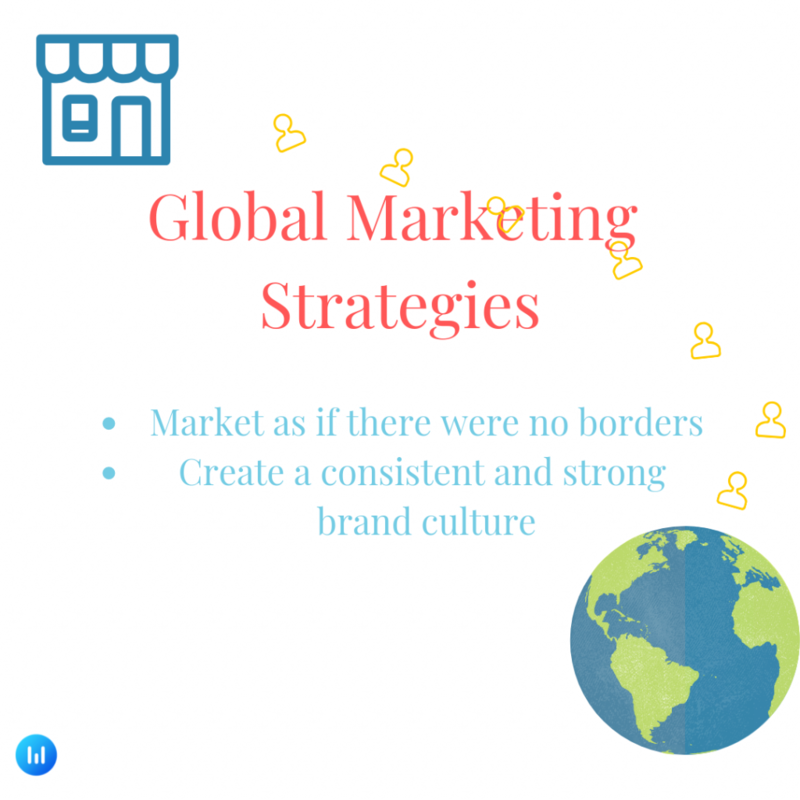 In other words, global marketing is molding your organization’s strategy to adopt the culture and conditions that prevail in other countries. Earlier, only big organizations could market their products and services globally. But, that changed with the availability of the internet; MSME’s can now sell their products globally. Today, foreign organizations give stiff competition to small organizations which propels them to go global or go home. First, global marketing leads to a reduction in overall costs because economies of scale can be achieved when more goods are produced. It also helps organizations standardize their products and processes. Second, the internet is a powerful tool and it helps you get recognized. Brands increasingly use social media platforms such as Facebook and Twitter to interact with their audience and spread awareness about their products and services. Thirdly, going global means having a competitive edge over your competitors – internationally. Let us understand this by an example. 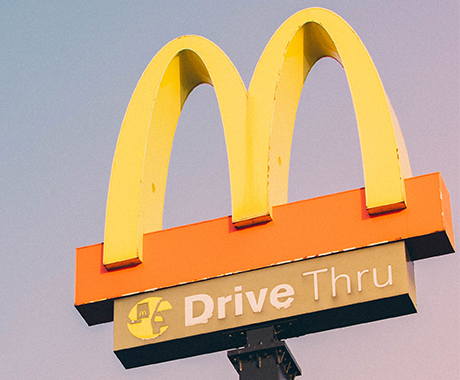 Today, McDonald’s isn’t just competing with the local burger outlets, but also from other market leaders such as Burger King. Sure, not every organization has the right resources to gain this advantage. But, if you do, you gain a significant competitive advantage. You’re learning and growing at a break-neck speed which helps you improve the efficiency and effectiveness of your products and service offerings. Global marketing is a gradual process and organizations begin by focusing more on the domestic market. Organizations then proceed by involving themselves in the process of exporting. By now, organizations are well-versed with the exporting country’s culture and practices and aligns its marketing strategies to go international and finally, global. Organizations constantly aim to provide value to their audience and retain customers. Of course, no two businesses are the same so it should be kept in mind that there is no specific timeframe for companies to go global. Sure, the costs associated with global marketing have dramatically reduced but haven’t ceased to exist. Not every organization that goes global succeeds. One small mistake can cost a fortune. Not only do different countries have different cultures but also extremely varying needs. Determining if there is a potential market in a particular country is hard. Besides that, organizations have to face cut-throat competition. It’s quite possible that you might be competing in Africa with the competitor right across your door. Millions billions of dollars can be wiped out overnight. Brexit vote (2016) is a classic example of that. Dynamic market conditions and political instability causes the elimination of profits. This is especially true for smaller organizations. Organizations that are not well diversified are often affected by small factors such as the strengthening of a particular currency, or changes in a particular law. Language differences, cultural customs, laws, and regulations are just a few barriers. Going global means finding out creative solutions to these barriers such as using translators to overcome language differences. However, small organizations find it hard to overcome such obstacles due to the availability of limited resources. 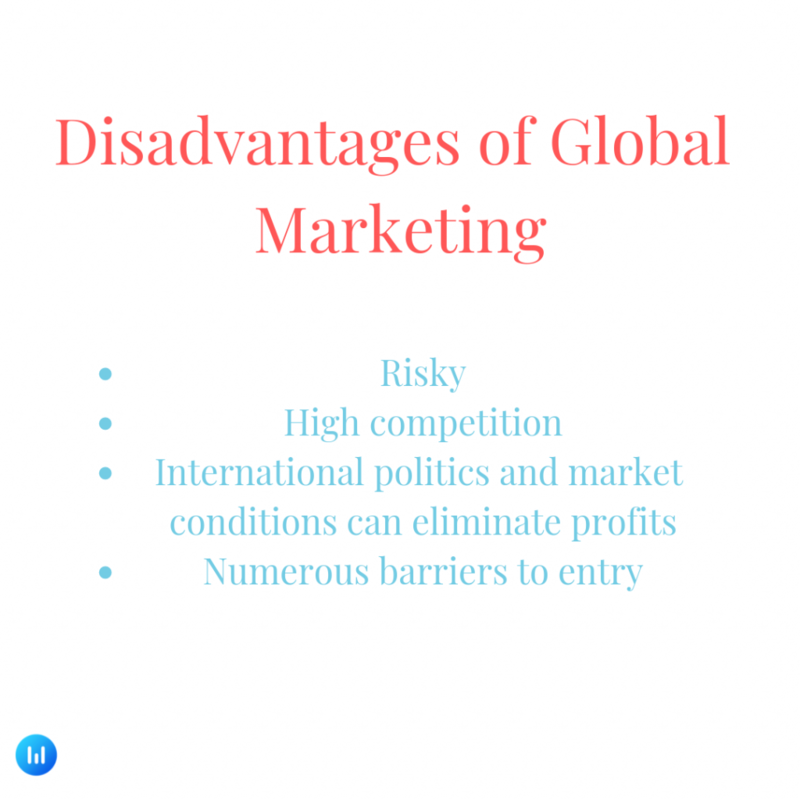 The advantages and disadvantages of global marketing are proof that an organization can extend their presence to any region but only if they have the right strategy. Organizations must carefully evaluate each point before choosing a strategy, anticipate dynamic conditions that might become a bottleneck in the future. This simple precautionary measure acts as a strong determinant of the organization’s success. What are the strengths and weaknesses of the potential market? What is the company trying to achieve in the international market? What are the strengths and weaknesses of the and the organization? How does the organization plan to overcome challenges? What is the organization’s potential in a particular market? Additionally, a superb strategy would group together countries and then integrate marketing efforts. For instance, regions like Africa, the Pacific, and Asia can be grouped together. Or Europe, Latin America, and North America can be grouped together. This strategy is favored by organizations primarily because a brand that is consistent can easily be recognized by its audience. Customers feel confident in making a purchase from a brand that is well-known and trusted by other people. For instance, you feel comfortable in purchasing a product from Apple because Apple is known to provide value to its customers. Organizations must learn to adapt marketing strategies that are unified and consistent. Sticking to a single unified strategy will reap more rewards than having different strategies for different regions. All marketing efforts should be aimed in one single direction and provide the same message to its audience. Developing a global marketing campaign can be done right if an organization focuses on four key areas. Organizations have to do extensive research, create a brilliant marketing plan, tailor fit their approach, and adopt prevailing (communication) practices. Understanding the context of the potential market is the first step in designing an effective global marketing campaign. Analyze the norms and behaviors of the targeted region; how do people like to be contacted; what channels are appropriate, etc. Investing time in conducting thorough research will reap rewards in the long run and vice versa. Your global marketing plan needs to be consistent yet customized. DraBeginfting a marketing plan based on the knowledge of the global market and detailing your actions is a good way to start. Begin by identifying the organization’s goals and objectives (short-term and long-term). Once done, draft a roadmap that highlights the overall strategy and plans or techniques to achieve those goals and objectives. Organizations often mistake their local audience for their foreign audience. What worked for one country might not work for another. Therefore, it is wise to have a strategy that has scope for adaption to regional practices. Organizations must aim to delight their audience with a tailor fit experience. Understanding the relevant language or cultural hurdles isn’t enough to help your organization adjust communications for every region. Knowing cultural references, relevant events and holidays is crucial to creating a personalized experience. 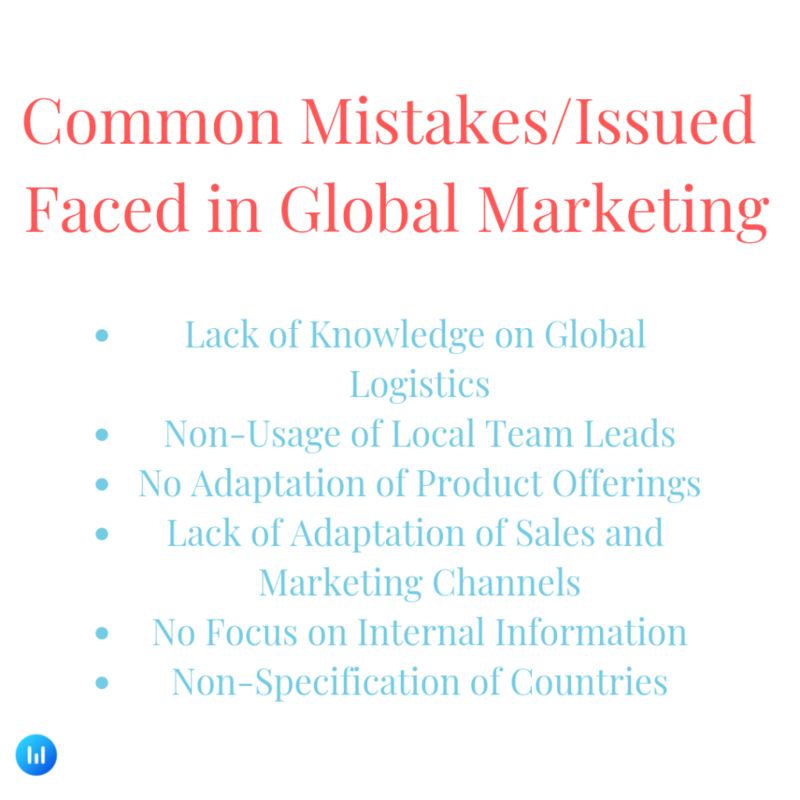 Organizations must ensure they don’t make these common global marketing mistakes and overcome marketing issues when they go global. These mistakes and issues can become massive hurdles, if not handled at the right stage in the right manner. Your organization is publishing updates on all social media platforms, sending emails, publishing website content and accomplishing other marketing-related activities. But, how well are these activities supporting each other? For instance, you use CRM software that only accepts payments made in the Indian currency (₹). But, you have the potential to do well across the globe only if you include other leading currencies like US dollar ($) or European pound (£). Organizations often make the mistake of not hiring local talent. Who knows their region better than the locals? Hiring local employees means getting a strong and competent team. Organizations often launch the exact same product/service in several markets. This means ignoring the needs and wants of all customers and offering them one standardized product. Organizations must have scope for customization and should launch products/services with small local variations. This not only increases the chances of earning more but also helps gain customer loyalty. Most Western organizations are guilty of making the mistake of entering markets using the same strategies that bought them success in their home country. Sure, brand consistency is the key but they need to be tweaked according to the particular markets. It is important to research and find out which marketing approach will do better in which region. For instance, its easier to draw an audience in Latin America through Twitter. On the other hand, it is easier to attract more attention in Brazil through Facebook. 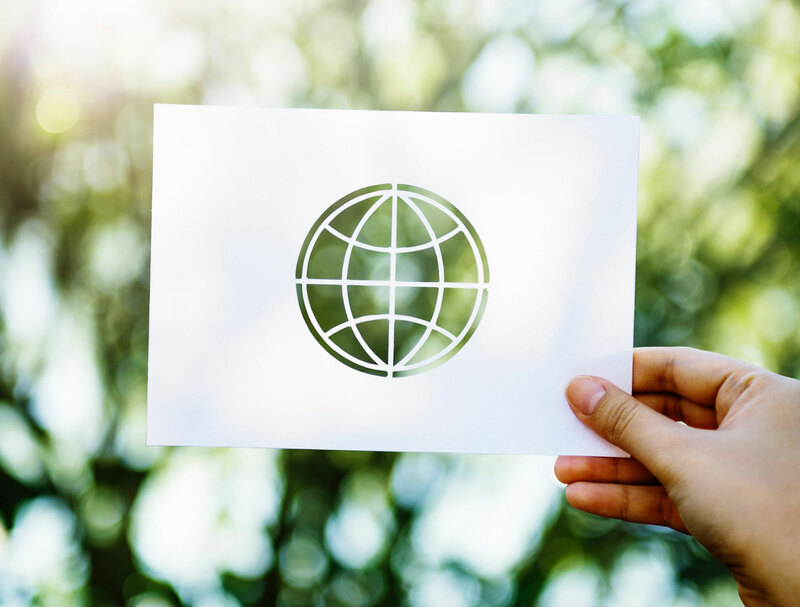 Organizations must conduct complicated and specialized market research to create a good global marketing entry strategy. Consider all factors like the potential opportunities in the market, level of difficulty to attain success, and how successful your organization is in that specific region. Concentrating only on the outside data to make decisions is a sure-shot way to fail. Organizations must use their internal resources to get the necessary data. Then, determine if your product or service is a strong fit in the market. Data from third parties have limited accountability since they neither know your company nor the customers. Organizations usually think of foreign markets vaguely, for instance, they want to shift to America or increase their sales in Europe. It is confusing and problematic to take things so casually. Europe can mean Easter Europe, Western Europe or even the European Union. Your audience associates themselves at the local level so keeping it country-specific is always a better idea. Every country has its own set of rules, laws, norms and payment types. Marketing teams that respect cultural differences and take actions accordingly tend to do better than those who don’t. Need inspiration to successfully market your company globally? We bring you examples from some of the highly reputed brands. They embrace local differences and are known to adapt to localized menus. For instance, they launched Dragon Dumplings in Hong Kong. They are known for capturing the attention of the international audience by carefully choosing international sponsorships. Demand costs sharply rise because of triggers like championships and tournaments. Yes, they keep their branding extremely consistent but they also adopt local customizations. For instance, they have bulgogi burgers for South Korea, green chilli cheeseburger for Mexico, McSpaghetti for the Philippines to name a few. 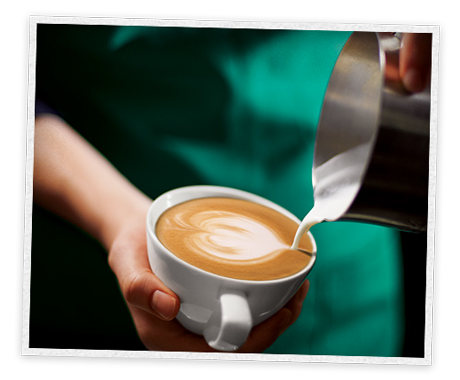 They are known to increase their store openings by a whopping 10% to 15% every year. One of the key reasons for their success is having a strong and consistent online presence. 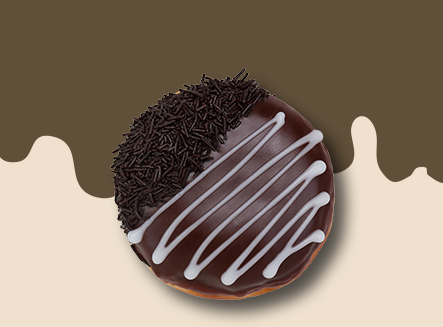 They operate in more than 30 countries around the globe and adopt local menus to please their international audience. For instance, they serve dry pork and seaweed donuts in China, Grapefruit Coolatta in South Korea and Dunclairs in Russia. They have more than 34,000 listings worldwide and they account their success to social media platforms. Airbnb’s #Onelessstranger campaign was one of the most successful campaigns that engaged or connected more than 3 million people together.